There is a unique identifier on your iPhone and it's called ASIdentifierManager. It's specifically in your iPhone, iPad or other Apple hardware -- it is tied to the device and not to your Apple ID, so there's no building up a profile of us across all our machines. Mozilla says this gives your data to third party advertisers -- but it doesn't. 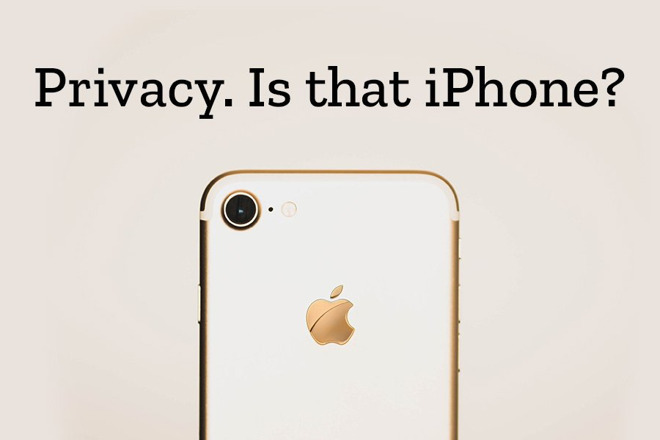 "That's why we're asking Apple to change the unique IDs that advertisers use to track us on each iPhone," they say. They want Apple to change this identifier every month. "That means we could still get relevant ads -- but there's a real cap that makes it harder for companies to build profiles of us over time." And who helps fund Mozilla? The most infamous people farmer, Go-ogle. And who was it who surreptitiously slipped in a "Research" campaign plugin into their browser and leaked data without our consent and knowledge beforehand? Yeah, we're looking at you Mozilla! I'll stick with my Apple gear and Safari web browser, thanks! Apple has had issues with Advertisers in the past because they want all this info that Apple has been unwilling to give them. I think Mozilla is a little confused and should be talking about Android. All it does is spy on you. Of course Google is getting most of the direct benefit from that and selling that Data. I found and turned off the tracking long ago. To me it should be opt-in, so I agree with Mozilla. All the concern about 3rd parties is one aspect, yet does Apple collect the data, even 'securely'...? Do they effectively monetize it simply by offering targeted ads to advertisers, even without disclosures? Can IP addresses also be used to assemble profiles (eg. use a VPN) ? Could one hack, programming error, geo political shift or change in EULA alter the privacy landscape pretty quickly...? LOL... and what data would that be that is being sold? I find Apple's approach to be very straightforward. It first asks you about this setting when setting up a new device, so it's technically opt-in from the very start — because you can disable the setting at the very start of using a new or reset device. And the setting of easily found again in an expected location on all devices.... under Settings > Privacy > Advertising. This is what we call a “disinformation campaign,” kids. They have a lot of prior experience from ousting Eich. Can a developer somehow track this information anyways and not have Apple know? Anyone know how hard this would be? Possible? Mozilla *had* a deal with Google to make it the default search engine on Firefox browser in return for a payment. This is no longer the case. That contract has expired. You also realise that Apple *still* has a similar contract with Google to make it the default search engine on Safari right? And this contract is still in force. Word on the street is that Google pays upwards of 1 billion for this privilege. So, no point in singling out Mozilla Foundation. Apple still has similar deal in place and Google is funding Apple by $1 billion for it. ...I think Mozilla is a little confused and should be talking about Android. All it does is spy on you. Of course Google is getting most of the direct benefit from that and selling that Data. I agree on the Brave browser but if they plan to monetize it with users paying to surf it's probably already marked for death. "Today, Google provides marketers like me with so much of your personal data..."
Except that they don't. FWIW I don't agree with Mozilla either using Apple as their PR pointman.